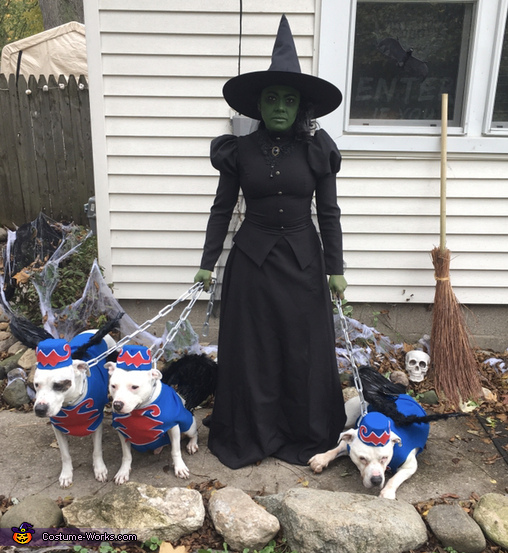 My three dogs and I are wearing these costumes. This costume was inspired by The Wizard of Oz, one of my favorite films. The costumes were custom made by my mother and I. All makeup was done on my own. The overall cost of making these costumes was about $350.